The event will take place beginning at 2 p.m. at Spring Hill Cherry Hill Assisted Living, 1450 Marlton Pike East in Cherry Hill. 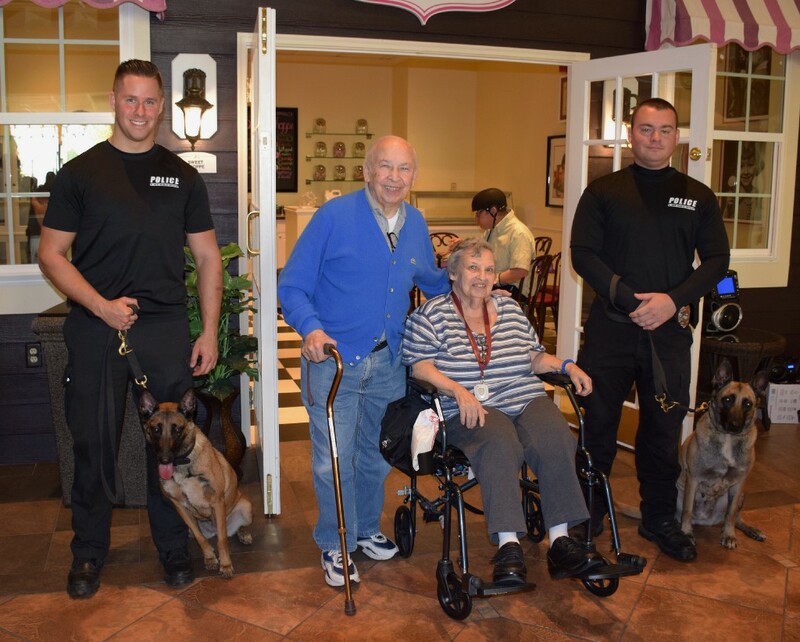 Officer Gary D’Alessio (right) and his canine partner, Pandorra, posed for a picture with Spring Hills Assisted Living residents Ed Ventura and Carole Karen at last year’s PawFest. Spring Hills’ 2016 PawFest is scheduled for Saturday. Spring Hills Cherry Hill Assisted Living will host its annual PawFest event on Saturday, Oct. 22 at 2 p.m. Paw Fest is a celebration of the bond between humans and their pets. All members of the community are invited to participate in festivities including a costumed pet parade through the Spring Hills building, pictures with dogs, refreshments and more. Owners are welcome to dress up in matching costumes with their pets. The event will benefit a local animal shelter. Guests are asked to bring donations of pet food, blankets, treats and more. Guests can bring their own pets/ all pets should be on leashes. Refreshments will be available for both people and dogs after the parade. Spring Hills is located at 1450 Marlton Pike East in Cherry Hill. For more information, visit www.springhillscherryhill.com or call (856) 874–7700.